The owner of a car garage in Hertfordshire has voiced his anger over the attempts of "sinister" looking vandals that have been attempting to break into his workshop. Peter Harrington runs Harrington Car Sales in London Road, Shenley. He has said that when he arrived at work earlier this month he noticed footprints on the door into his garage, which had been partially damaged - upon reviewing CCTV footage Mr Harrington saw a group of balaclava-clad people running riot around the cars for sale in his showroom. Having CCTV facilities in place is a valuable safeguard to discover how break-ins have taken place. 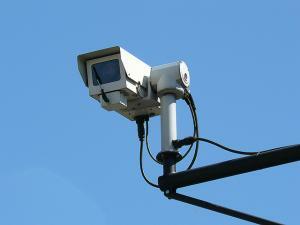 However, video surveillance will not replace or repair items damaged or stolen by criminals. For this a business will require a combined motor trade insurance policy. According to the Borehamwood Times, the vandals caused around £200 of damage to the front of his door but did not steal anything and left empty handed. Mr Harrington, 48, commented: "It’s annoying as I am a family person and this is how I earn a living – then someone thinks they can try and break into our property and disturb what we’ve worked hard for. "Anger was going through my mind and I was upset. I don’t think there were any witnesses, but they must have made an awful lot of noise." The garage owner said the gang was kicking at the door for seven minutes before giving up and leaving the site. He added that the police have been "fantastic" in responding to the incident, with an investigation underway to try and find the culprits.